Adalee and Shelby have been best friends since they were just 6 months old. These two are inseparable, always wanting to have play dates and sleepovers! I love the fact that at even a young age, they have remained close. What a special little bond these sweet girls have! 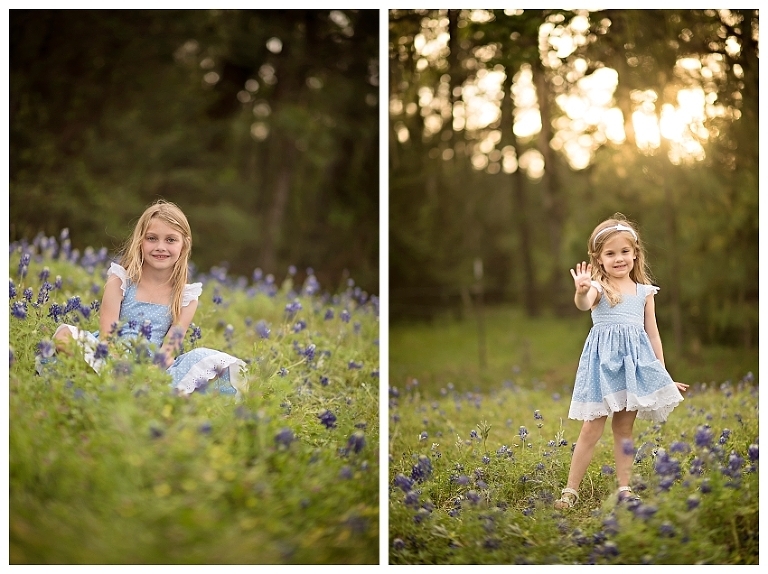 We have been doing yearly bluebonnet photos since they were 3 years old. A friendship like this needs to be documented, and what a cute way to do so. In 30 years they will reminisce on these photos while sharing so many old stories. Each year that I photograph Adalee and Shelby, we have so much fun! I have gotten to know these kiddos, and it is so bittersweet to watch them grow up. I love being able to see their personalities develop, as well as watch them learn so many new things. However, they were so little when I first met them. Kids grow up too fast! Shelby will be moving away to Midland this summer and these girls are sad but will be able to stay in touch with trips to see each other every few months! I hope they still get together for their yearly photo session! 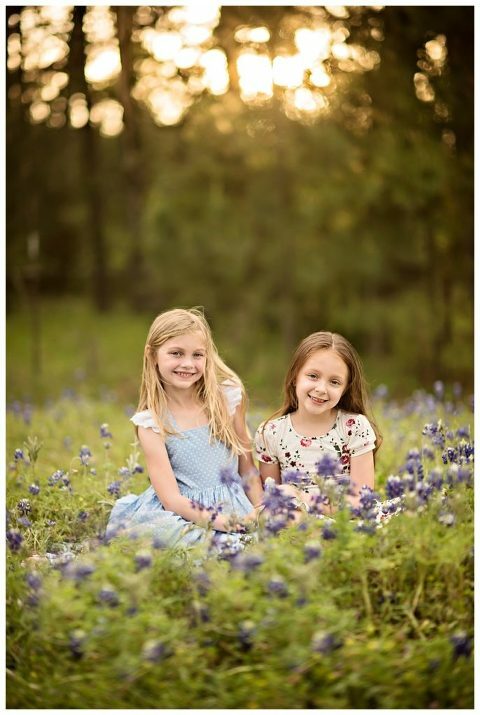 Not only did I get some super cute photos of Shelby and Adalee, but Shelby and her sweet sister Sydney are always amazing in the bluebonnets, too! Syndey just turned 4 when we were doing her photos and she was happy to show she is FOUR WHOLE FINGERS now!! These kiddos are seriously so stinkin’ cute, and I always enjoy my time with them. Adalee and Shelby taught me that with enough passion, time, and effort, it is so possible to keep friendships alive. I am certain that these two girls will be spending many days together, smiling and giggling the whole time. They are such a blessing to each other! 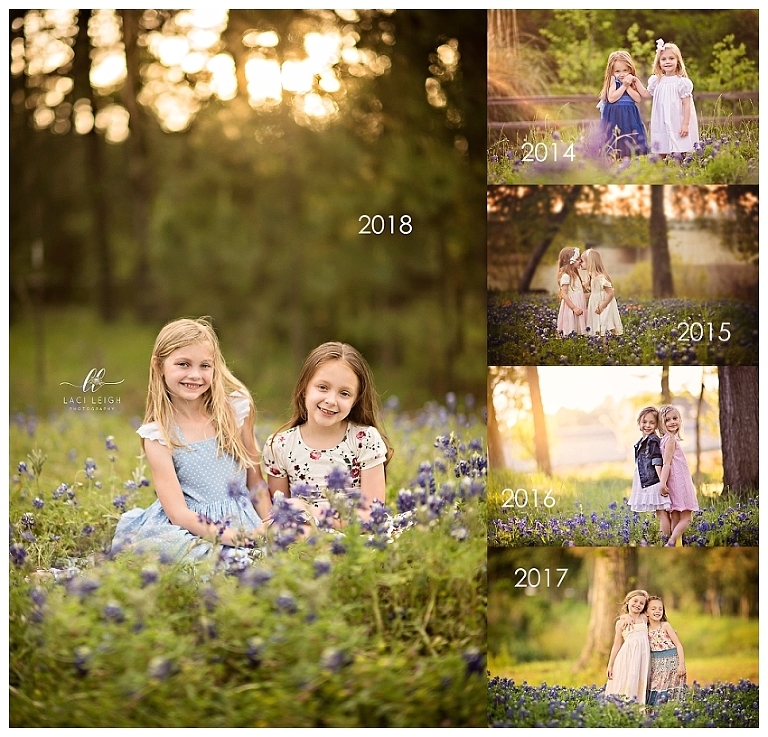 Getting to see these two grow up together over the years as their North Houston Area Photographer has been such an honor. What a couple of cuties!